Adol Christin, a young man from the mainland, sails to the besieged land of Esteria in search of adventure. Esteria is being overrun by beasts under the control of the evil priest Dark Fact, and the people of the land are running out of time. However, there is a prophecy that tells of a hero from another land who will come to save Esteria -- and his name would be Adol Christen. 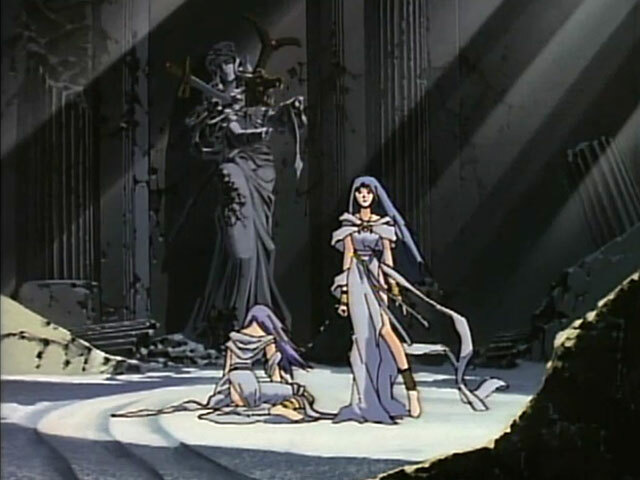 Now that Adol Christen has saved the land of Esteria from the evil priest Dark Fact, Adol and the two priestesses travel to the floating land of Ys, where evil has an even greater influence on the people and no one has hope. The future of Ys falls to Adol, heir to the powers of the priests and the only one who can show the people of Ys the truth about their world. But, as Adol's power grows, he may be the one who will save Ys -- or destroy it. As a big-time classic RPG fan, anime like this based on a popular RPG series (action/RPG to be exact) is always welcome! The Ys (pronounced 'ees') game series is not terribly popular, but it has a strong fan following. Falcom (its developer) had recognized the demand and has released many re-releases and remakes of the classic Ys games for a variety of systems. Such a demand gave birth to the Ys anime! The Ys anime follows the story of Ys Book 1 & 2, which are the first games of the series. Even the music is reminisce from the game. In a traditional RPG fashion, Adol seeks out relics and vanquishes evil. The Ys Book anime is your average fantasy anime. The quality/style looks very 80s and the pace is rather slow (lots of talking). 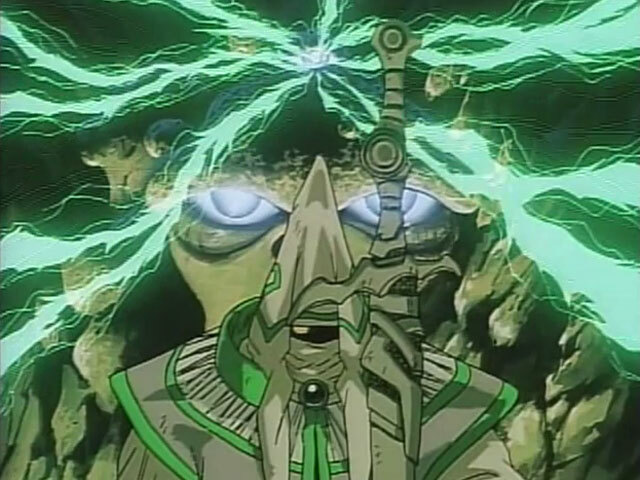 You need to be a fan of the Ys series to truly appreciate it, or be someone like me who really loves classic anime. Also, it's important to note that the US released DVD of the Ys Book series is called “Ys Legacy”. Now Ys II takes things to a whole new level! Clearly, this was made years after Ys Book and by a different animation company. The animation quality looks modern. It's darker and bloodier. The story is deeper. They massively improved in every area. The Ys II anime loyally begins right after the Ys Book anime. It's less about relic-searching and more about Adol going around engaging in exciting battles killing monsters. What I like about Ys II is that you really get a sense of how the Black Pearl (the source of everyone's problems) has brought pain and suffering to the people of Ys. I recommend this anime! 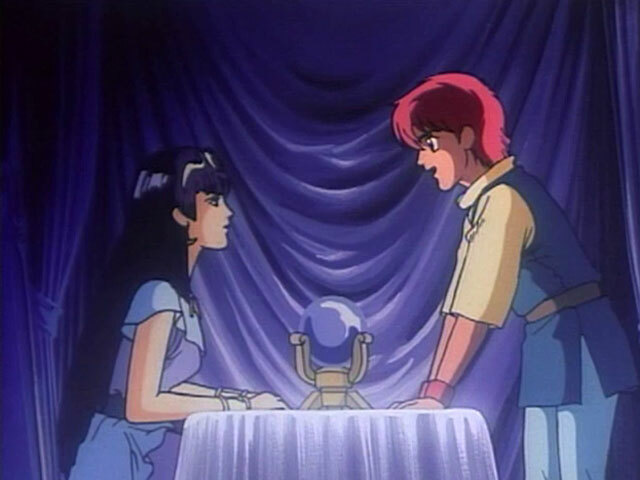 Adol arrives in Esteria and seeks the fortune teller to learn about his fate. 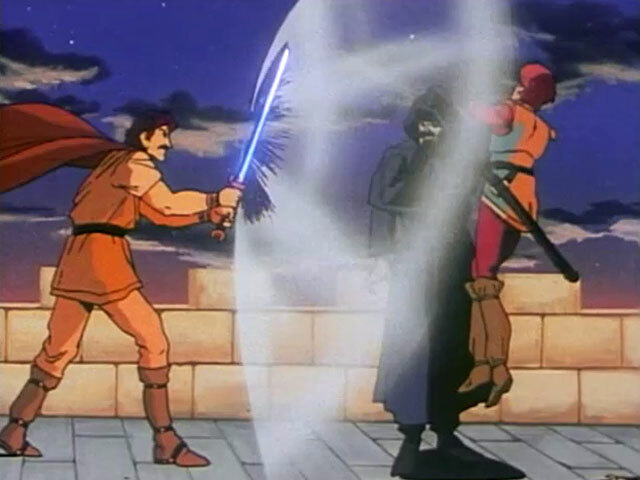 Adol, Goban, and Dogi enter Darm Tower to challenge Dark Fact. 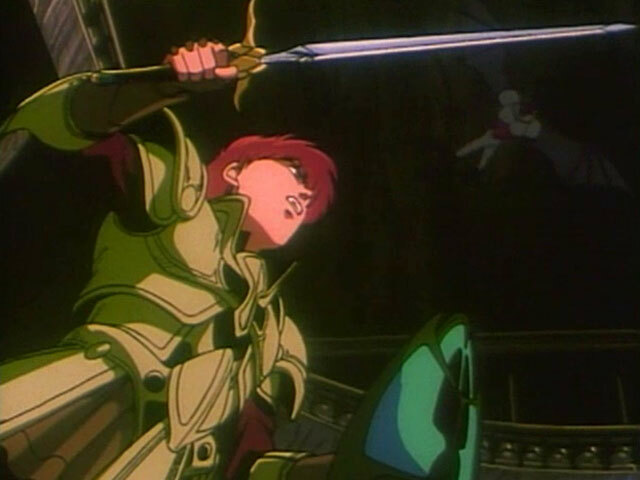 Adol goes to the Shrine of Soloman to fight the evil wizard, Demeris.